As a photographer, you’d expect that I would have lots of albums, prints and beautiful canvases throughout my home, sadly this is not the case (although I am working on changing it). I got caught up in the digital world. The world that would only post pictures on social media, the world that thought having a picture on your phone meant having that picture forever, the world that made a flash drive of images to print but just never got around to it. Life is so busy and I realize that my clients lives are just as busy. It’s not that we don’t value having images printed or displayed on our walls, it’s that unfortunately, most of us have gotten caught up in the digital world and we have forgotten about that magical feeling we feel, when we see an amazing photo from years past. Looking back, I remember the times when my mom or siblings would pull out the family albums and we would spent hours looking through them. We would laugh and reminisce about how funny we looked as children, smile as we saw milestone pictures, question pictures of our extended family and in general try to remember the story around each picture we were in. Whenever the albums came out it was a good time. Being the last out of 8 children, It’s pretty much a common knowledge that any child after the 1st and 2nd, doesn’t get as much camera love. In my case, being the last out of 8 children history rang true again. To my knowledge my family has had professional photos done once and it was 2 years before I was born. So sadly, the family portrait that sits above my family home fireplace, in the frame that my father hand crafted himself does not include me (or my sister that is one year older than me). 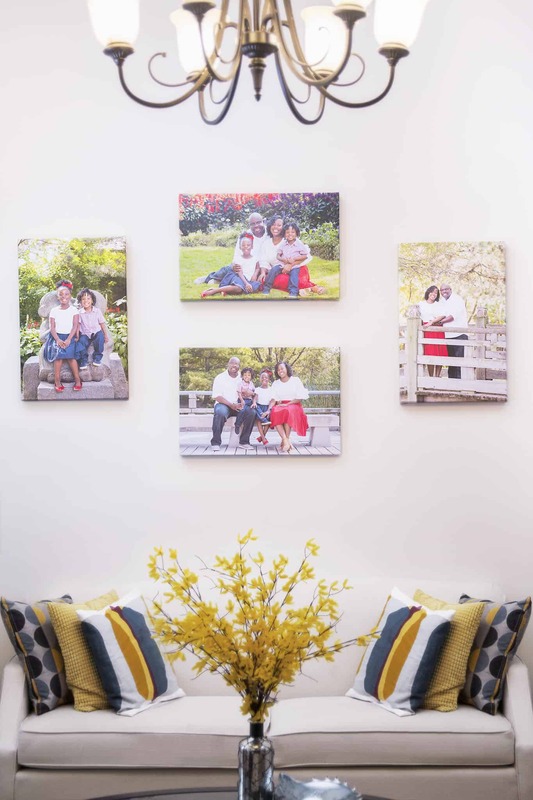 Our passion is not only to create beautiful portraits for families and individuals but to ensure that they have the opportunity to display these works of art because one day it will become a family heirlooms that your children and their children will cherish. If you’ve had portraits done before but have since had additions to the family, believe me when I say it will matter to that ecluded child. Now is the perfect time to capture new amazing portraits.